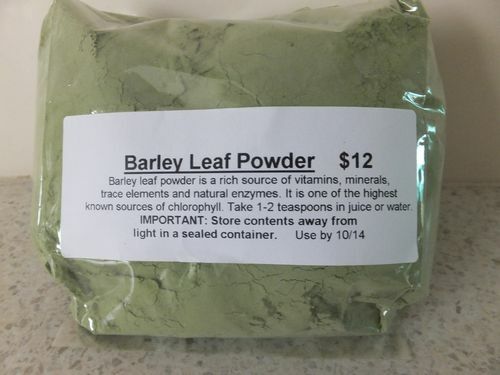 Organic Barley Leaf Powder – A powerful way to get needed nutrients including beta-carotene, anti-oxidants, proteins, carbohydrates, vitamins, minerals, enzymes and chlorophyll. Has 3 year shelf life. Available in 200 g, 450 g and 1 kg bags. For more information see here.